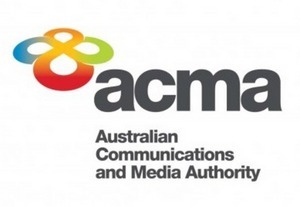 The Australian Communications and Media Authority (ACMA) proposes to remake an important piece of regulation that affects all radiocommunications licensees holding Aparatus licences – which includes radio amateurs, broadcasters, land mobile operators etc – and has put out a call for feedback on its proposal. The Radiocommunications Licence Conditions (Apparatus Licence) Determination 2003 will expire – "sunset", as they say – on 1st April 2015, unless the ACMA “remakes” it beforehand. Known as the Apparatus Licence LCD, it gives the ACMA the power to define permitted types of communications, the power flux density and field strengths allowed from a transmitter system, along with public exposure limits to RF emissions. For amateurs, the Apparatus Licence LCD works hand-in-hand with our own LCD – the Amateur Service LCD (Radiocommunications Licence Conditions (Amateur Service) Determination No. 1 of 1997, updated 2013). Both LCDs are issued under the Radiocommunications Act 1992. The Act and the Amateur Service LCD are also to be reviewed, in due course. The proposed changes appear to mainly bring the Apparatus Licence LCD in line with changes in the Australian Human Exposure Standard to RF emissions and other, more recent, instruments.